Well, kids are back in school and many school districts are well underway. Of course, in today's day and age, all parents and even some students are concerned about the safety in schools. As a parent, it's important to do all we can to keep our kids safe but also have fun and find unique tips, tricks, and shortcuts to make life easier when the kids are in school. 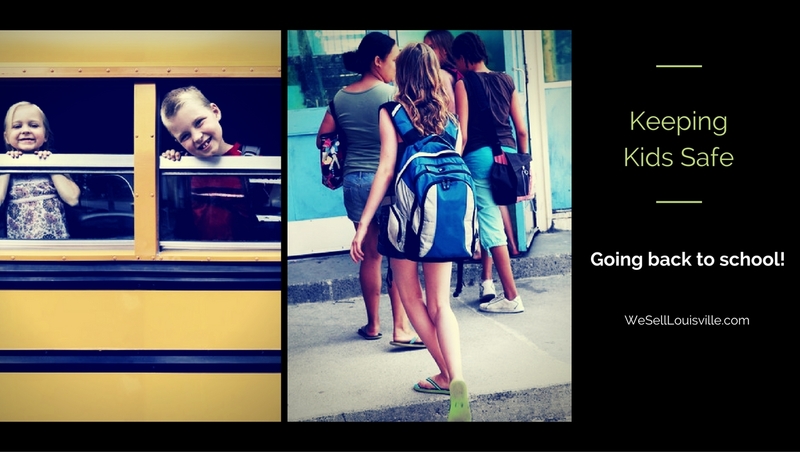 Here are 10 simple tips for a better school year to keep you kid safe and have fun. Try to keep things as organized as possible when sending the kids back to school. Depending on when your kids go to school in the morning, set up a foolproof family calendar with the times that kids need to get to the bus stop, when they will get back and a routine that works for everyone in the morning. You want everyone to start the day happy and prepared when leaving the house. Make lunches the night before, organize all of the backpacks, hats, shoes, books and homework in a neat line so they are ready to grab them and go in the morning. This also helps you sleep in just a little bit longer when everything is prepared the night before. #2. Prepare breakfasts the night before. It can be very easy to get up late, grab an apple or a banana or even nothing at all and head out the door. But kids need the right mood for learning and by giving them a healthy, protein packed breakfast, they can think better and do better in school. Many middle school and high schoolers have challenging classes first thing in the morning and instead of sleeping through them, send them off with a healthy breakfast of either oatmeal that's made the night before, protein packed muffins or breakfast bars or prepare breakfast sandwiches or burritos that simply need to be heated up in the microwave for a minute or two and are handheld, so they're ready to go out the door. This comes in handy if you have Elementary school aged kids that leave their jackets, coats, and hats behind everywhere. Label their library bag, the tag on the inside of their jackets and if possible, write phone numbers on notes inside of pockets, containers, and bags, so that if they are found, they can be returned to the rightful owner. #4. Keep lice at bay. Lice is a reality when you are dealing with kids in school. Lice does not jump or fly but they do crawl from one place to another. If kids but heads, where the same hat or hairbands or share jackets and coats, lice can crawl from one place to another. To avoid a breakout use tea tree oil or lice shield shampoo and constantly check your kids head to keep them lice free. #5. Keep your kids as active as you want them to be. Of course, everyone needs downtime but the more activities in a scheduled and moderated way can keep your child out of trouble and keep their mind more active. Find out what they like and then find activities or extracurricular activities that expand on these likes and interests. #6. Tell your kids to try and get along with the teacher. Of course, everyone's going to have a teacher that they dislike along the way but telling your kids to stay respectful, honoring and polite will work wonders in the future. If the teacher knows that your student respects them even if they have a disagreement, they are more likely to engage in a responsible and mature conversation if negative issues come up in the future. Tell your children to get to class on time, be nice to people and try your best at all times. #7. Make sure your child knows your contact information. Your child should know how to get a hold of you, your address, phone number and have their full name memorized. This can prevent loss or confusion if there's ever an emergency. #8. Ask how your school handles emergencies. Many local fire departments and police stations will have fully detailed maps of all of the schools in their area. This helps should there be a shooter on campus or another emergency and first responders need to know exactly where to go. Talk about how your school handles the newest emergencies and concerns that are affecting our society today. Find out where children will be should there be an emergency or a natural disaster and how to contact your child. If you engage in situational role-playing scenarios you can help your child learn to navigate different situations that may come up. This could be as simple as how to handle a situation when a child has lost her lunch money to larger situations such as earthquakes, tornadoes or a terrorist invasion. Who would they call? How would they get to a phone? And how would they react to the current situation? As scary as it is to think about these things it could save your child's life. Always encourage your child to ask open-ended questions and feel comfortable with questions asked to them. They need to know that they can ask any question at any time to a responsible adult or teacher. If they are shy, uncertain or apprehensive, it can create problems or issues in the future. They need to feel comfortable to ask any question at any time. We hope you are enjoying your kids being back in school and if you're looking for a new home within the same school district give us a call. Would love to help you relocate to a new home that meets your budget and your lifestyle a little bit better but can also direct you to the same school district or another one that might be a little bit better.